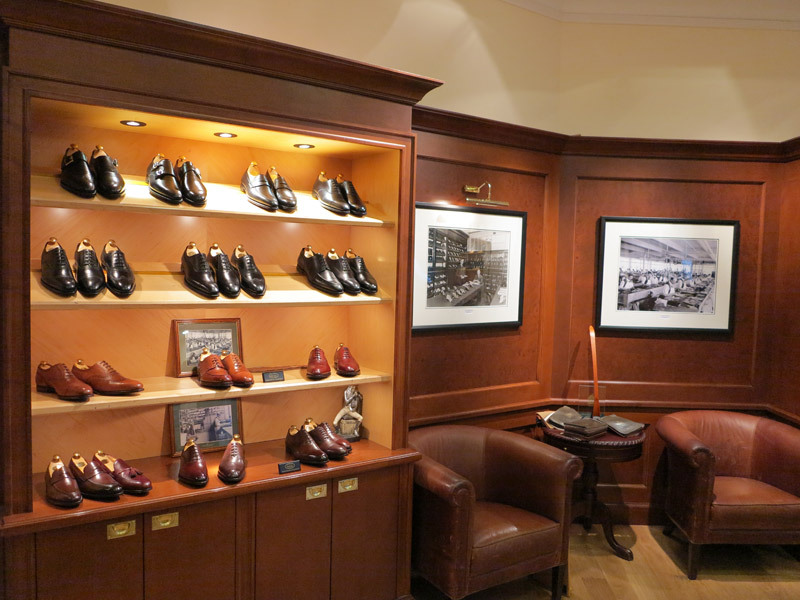 Once more I visit the luxurious Crockett & Jones boutique in Jermyn Street, London. This time I'm here for the black double monk strap Camberley boot, Bond's shoe of choice with his mafia style outfit in the Rome scenes in SPECTRE. 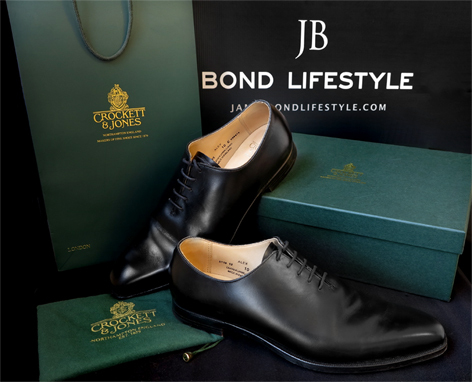 Northampton based Crockett & Jones, makers of fine shoes since 1879, is the most current Bond shoe option for fans, with a great selection of models and styles worn by Bond in SkyFall and SPECTRE to choose from. In SkyFall, Bond wears the brown leather Islay brogue boots (outdoor Scotland scenes), the sleek Tetbury boot (Turkey and Shanghai), and the more conservative Alex Oxford model (Macau casino scene) and Highbury, worn with Tom Ford suits. In SPECTRE Bond again wears the Alex (with his white Tom Ford tuxedo jacket), the Norwich derby in Mexico, Radnor boots in Austria and the double monk strap Camberley boots in Rome. While driving the Aston Martin DB10, attending the SPECTRE meeting and meeting Lucia in Rome, James Bond wears a three-piece Tom Ford Windsor suit, white Tom Ford shirt with black tie and collar pin, Tom Ford Snowdon sunglasses, Omega Seamaster 300 watch, Dents Leather Driving Gloves, and black leather Crockett & Jones Camberley boots. Some fans found this outfit too flashy for Bond, but personally I quite like the outfit. 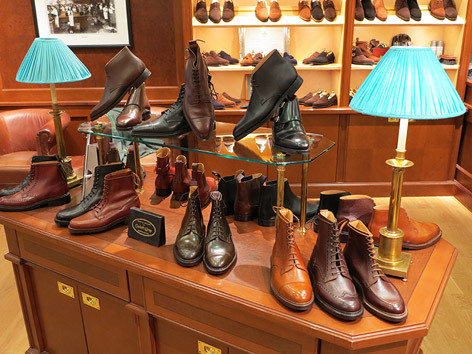 To get myself a pair of Camberleys, I go to Crockett & Jones flagship boutique on Jermyn Street in London, where I'm greeted by ever-friendly Huqstable, who also helped me with my Crockett & Jones Tetbury boots in 2014 and my Crockett & Jones Alex in 2015. 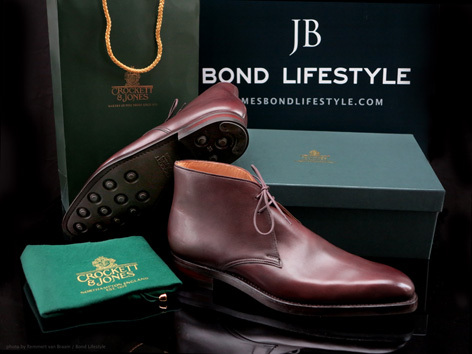 In 2014, I got my first pair of Crockett & Jones shoes, the Tetbury model but in brown (Bond wears black Tetbury in SkyFall). Read the full report of the shopping experience here. In 2015, for the World Premiere of SPECTRE, I got myself the stylish Alex Oxford model with leather sole to go with my black tuxedo. Bond wears the Alex with the midnight blue Tom Ford tuxedo in SkyFall and with his white Tom Ford tuxedo in SPECTRE. 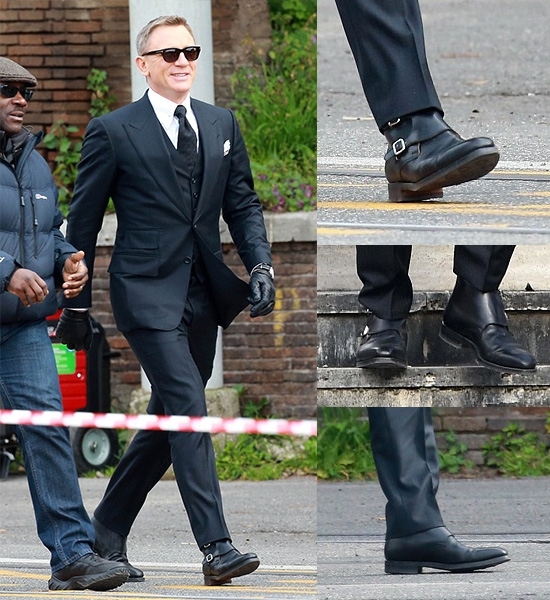 During filming, Daniel Craig wore the Alex with rubber soles for more grip in action scenes, but for ultimate style the beautiful leather sole is a must. Now the Camberley. 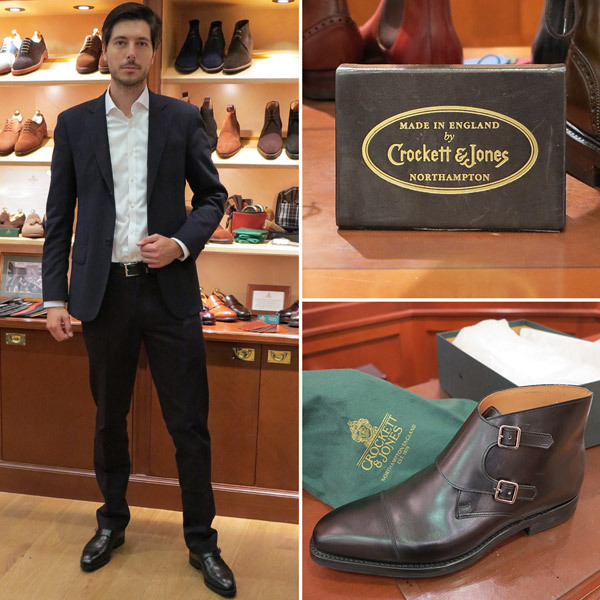 When SPECTRE was made, this was a brand new style for Crockett & Jones, introduced in Autumn/Winter 2014. The double buckle monk boot is a unique design now often copied, and it has become one of the most popular Bond models from Crockett & Jones. The Camberley comes in Black Calf, Brown leather or Brown Suede. I got my Tetbury boots in Brown Antique Nubuck Leather, but for the Camberley I'm going for Black Calf, as worn by Bond. The fit of the Camberely is similar to the Tetbury (Crockett's 348 last and E fitting), but while I have the Tetbury in size 10.5, after trying the Camberely I decide to take size 10 for that model. The boots feel very soft inside and the two straps and buckles provide a good way to really strap the boots on properly. There are three holes in the strap, so you should be able to create a good fit. 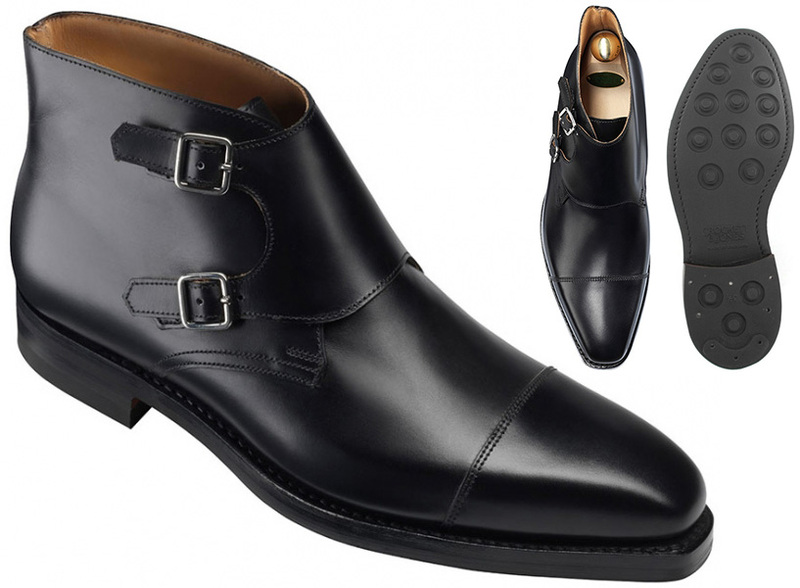 These Camberley's might already be my favourite Crockett & Jones shoes! The inside of the shoe is marked with the well-earned 'Made In England' label. Read Bond Lifestyle's Made In Britain article about Crockett & Jones for more details on the production process. 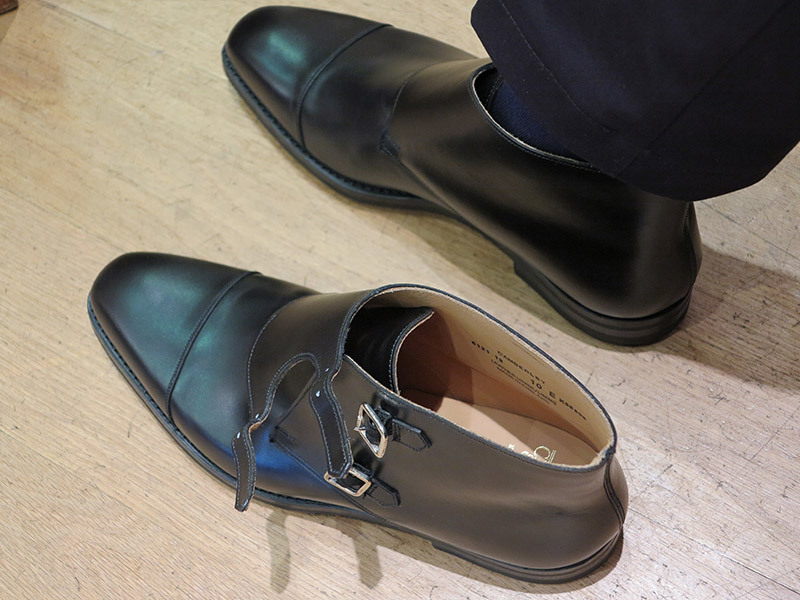 Like all Crockett & Jones shoes, the Camberely comes with green shoe bags, and a green box with gold logo. Nice article. Could you please elaborate on the fit compared to your Tetbury's? Many people purchase the Tetbury half a size (UK) down from their other shoes on the 348 last so it'd be great to know why you sized down in your Camberley compared to your Tetbury.